Periyar Tiger Reserve in the protected area category, Pir Jahania Jungle Suraksha Samiti from Odisha in the community stewardship category, Shankarpur village gram panchayat from Maharashtra in the decentralised management category and Van Utthan Sansthan from Rajasthan for co-management bagged the India Biodiversity Awards-2012, held parallel to the ongoing Convention of Parties - Convention on biological diversity in Hyderabad. At a ministerial reception hosted by the Ministry of Environment and Forests, Union minister for environment and forests Jayanthi Natarajan and UN Under-Secretary-General and UNDP associate administrator Rebecca Grynspan presented the awards for outstanding models of biodiversity governance across the country. The awards recognise good practices in India - from community-run institutions, local self-governance bodies, joint forest management committees and protected area management agencies engaged in preserving designated protected areas. The awards received 150 nominations from across the country and an eminent six-member jury chaired by Prof. M.S. Swaminathan evaluated the submissions. Desk reviews followed by on-site visits were held to validate and assess the nominations based on several parameters, including effectiveness of biodiversity conservation. Each of the four recipients of the awards received a cash prize of Rs 1,00,000. “Conserving biodiversity and harnessing it on a sustainable basis is critical for realising development goals. 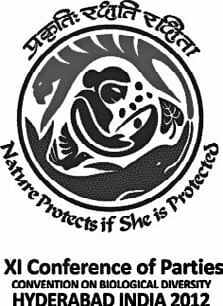 Biodiversity governance in India needs to enable this on a sustained and equitable basis,” said Union minister Jayanthi Natarajan.